What is it that keeps bringing us out in the early morning hours to greet the spectacular sunrise, and keeps us out until the prepossessing gloaming, as ﬁsherman? The all too alluring beckoning from Mother Nature is overwhelming in itself, if that wasn’t addicting enough, there is also another drive. Fishing is all about ﬁnding that ﬁsh, ﬁnding what that ﬁsh is biting on…then reeling it in! It’s a puzzle. Let’s face it, ﬁsh are an enigma. They are always keeping us guessing. That’s why it is always nice to learn as much as you can, studying different techniques, learning different ways to ﬁsh, in order to solve that puzzle, and catch that trophy ﬁsh you are after. Locating the ﬁsh, is the ﬁrst part of your puzzle. Once you ﬁnd the ﬁsh, now you can use your technique to try and catch them. One of the favorite and most effective ways to ﬁnd ﬁsh, is by dock ﬁshing. Dock ﬁshing is a wonderful way to ﬁnd ﬁsh. If there are docks, 99.9% of the time, that is where you will ﬁnd the ﬁsherman. Fish like to use docks as coverage, protection, a way to scope out their prey…and sometimes just a way to stay cool. Docks provide the perfect coverage the ﬁsh are looking for. They also hold lots of insects, especially wooden docks, which provide a haven for ﬁsh. There are many techniques to use to catch ﬁsh under the docks for both the bank and boat ﬁsherman. There are so many tools out there that can surely make you a better angler, and help you ﬁnd the ﬁsh. One of my most favorites and one I never leave home without, is my Deeper ﬁsh ﬁnder! For so long, the boat ﬁsherman held all the advantages of ﬁnding the ﬁsh. Now, the bank ﬁsherman, kayak ﬁsherman, and ice ﬁsherman can all share in those same advantages. Whether from a boat, or from the bank, is as simple as tossing it out and opening an app on your phone. Now you can see if that Dock is holding any ﬁsh, what kind of structure, vegetation, map locations, depth, and so much more! The Deeper can see things under that Dock that the average boat ﬁsh ﬁnder cannot. No more wasting time, trying to ﬁgure out if there are ﬁsh in that spot. down and snapping your rod tip, and keeping it pointed in the direction of your target. If throwing on the side of the Dock, cast parallel and past the Dock, dragging that bait or lure slowly back to you. If ﬁshing from a boat, skipping the bait or lure is much in your favor. From a boat, you can cast towards the docks and banks, getting that lure into places where those behemoth bass like to hang out. Casting towards the banks passed the docks, parallel, and reeling slowly back towards you, covering every part of the Dock you possibly can. Don’t forget to hit those really shallow spots…you will be amazed at how shallow the bass will live. Hit those shady spots, but don’t neglect those sunny spots as well. You are sure to catch a nice one that way. Don’t give up, remember, practice makes perfect. There are a plethora of ways to catch ﬁsh holding up under docks. Whether you are power ﬁshing the docks, or tossing a worm, they are both very effective techniques. Tossing a spinner bait passed the docks and working back to you, varying up your retrieves. A top water lure is also a very effective and fun way to catch them as well. Sometimes just throwing a lipless crankbait out, letting it hit up against the Dock…using a yo-yo effect, reeling it back to you…is a sure way to catch them. Sometimes a just tossing out a drop shot, and slowly working it back to you, is exactly what you need to entice those ﬁsh. With the drop shot rig being so versatile, being you can ﬁsh it shallow, deep, and practically anywhere. Sometimes just your average wacky rig is the way to go. Vibrating jigs are another very effective way to grab those ﬁsh as well. Of course, you just can’t beat skipping a jig under that Dock and waiting for that ﬁsh to nail it. 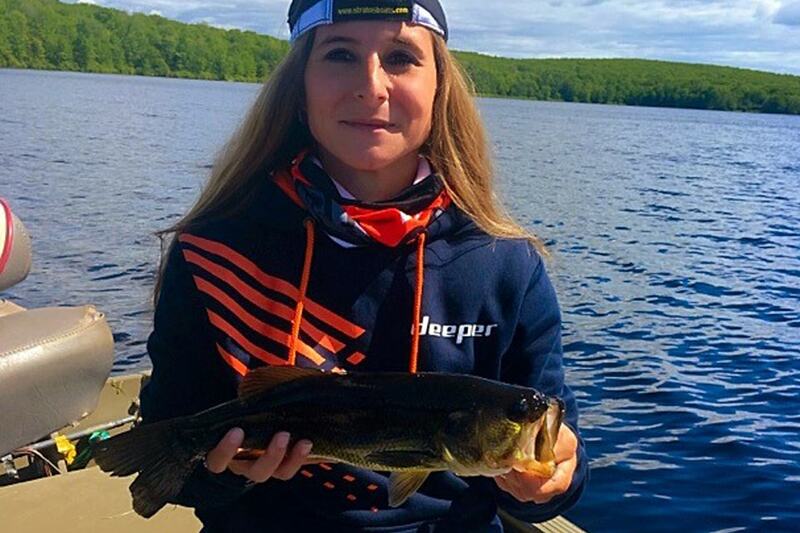 There are so many ways, and so many techniques you can use to have some fun Dock ﬁshing, and with the ever changing and progressing ﬁshing industry….there are new ways coming out everyday. Dock ﬁshing is such fun way to catch ﬁsh. You never know what is holding up under that coverage, or the size of them. Just as in any kind of ﬁshing, it’s exhilarating to toss out that lure and not know just what you are going to reel back in. It’s that very excitement and anticipation that keeps us coming back for more. Along with the pulchritude of Mother Nature, the ﬁsh seem to call us. It’s a call any ﬁsherman cannot ignore.